Some nice drone footage! 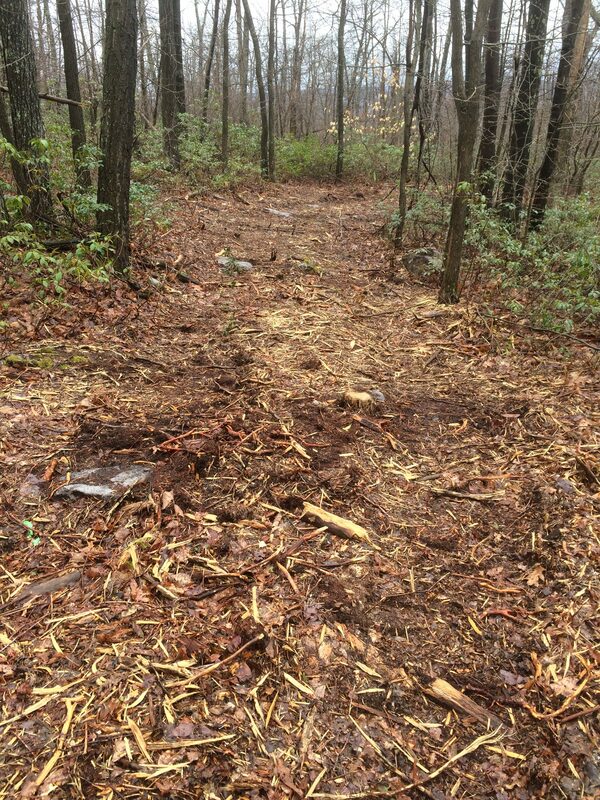 We are getting word from riders that the trail is truely excellent! 1. 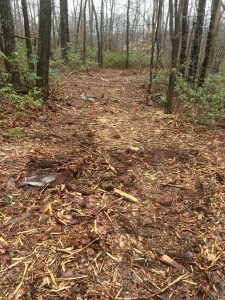 We have been extensively engaged with DNR over an opening date for the trails. The latest I received was “We have not reached substantial completion yet. We will not be able to open by July 6. We are working on our plan and we will share that with you ASAP. 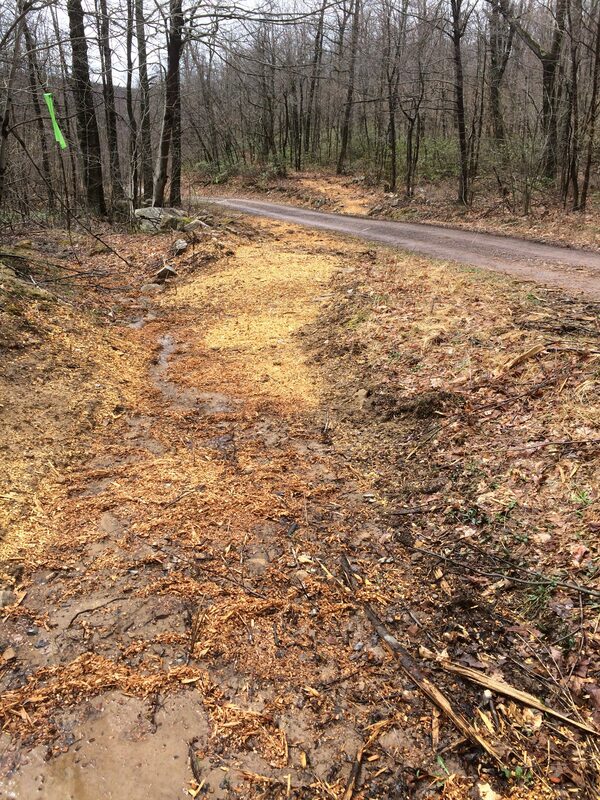 We are very close.” “Substantial completion” means the trail contractor has finish all but minor punch list items and control has been returned to DNR. Until then the contractor has exclusive use of the area. Teaser alert! Pictures and video coming soon. I must say that I am indeed eating a big crow today, maybe even a buzzard! 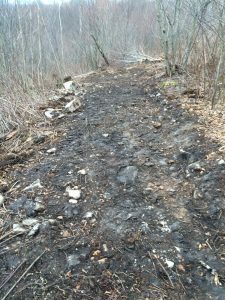 I was impressed with the trail that has been cut – yes it is two-track width, but it has plenty of technical action. 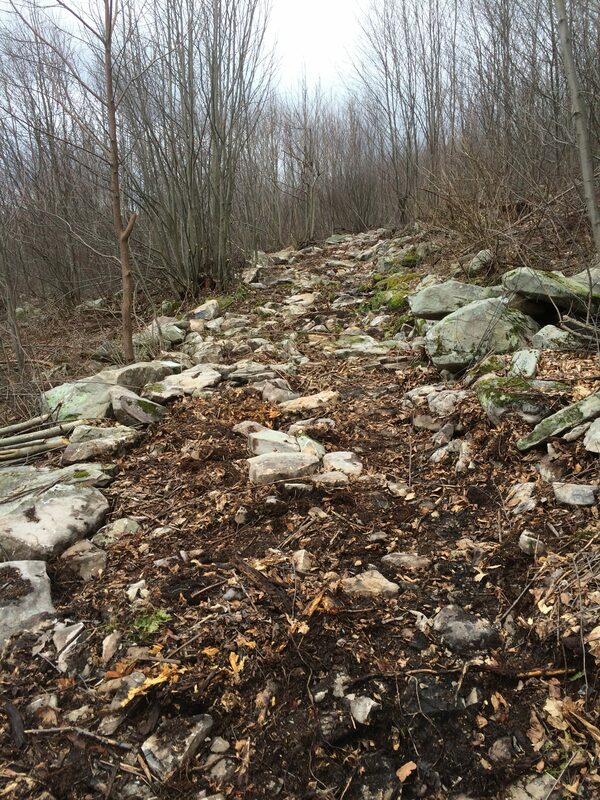 Lots of turns, switchbacks, elevation changes, and challenging rocks. 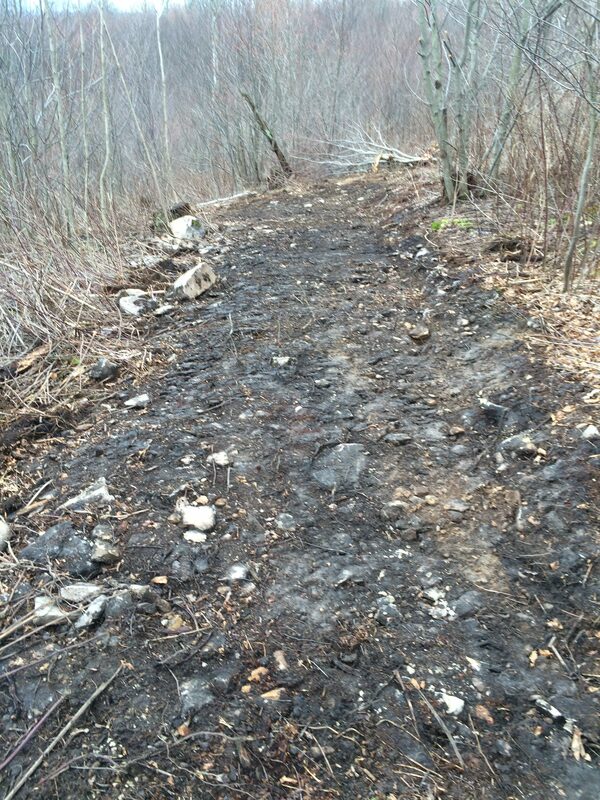 The trail is well laid out with a main connecting road, and the trail “fingers” coming off it broken up into 3 or 4 sections. Up and back on the technical loop is 16.5 miles. 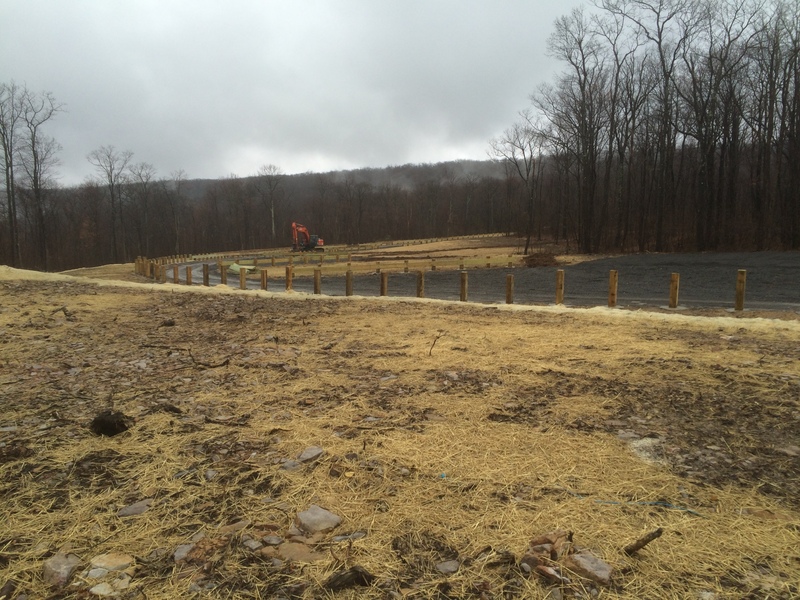 The parking areas are smartly done, with very nice timbers for guard rail. 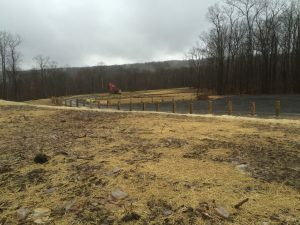 The camp area has a pee-wee loop that connects to all the campsites. It was fun to ride as well. 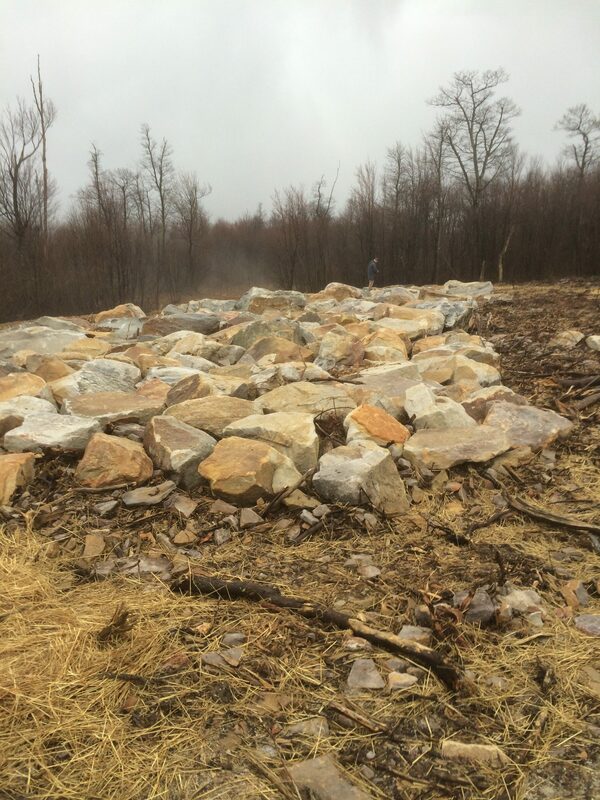 There was rock pile installed for the crawlers, could maybe get through it with an Abrams tank if you’re lucky. – Great stuff. Only a few minutes from the interstate, and good cell service. Also a latrine. The DNR staff were great, with very positive attitudes, unlike some I’ve experienced in the past. Weather conditions were perfect, with cool western md air and bright sun. 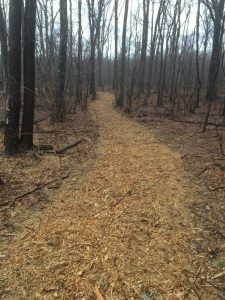 All in all a fun trail that should be sustainable for years to come. 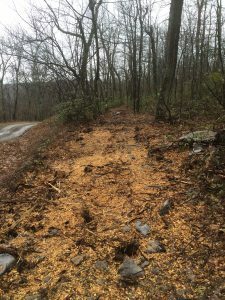 Here are a few photos from trail construction. 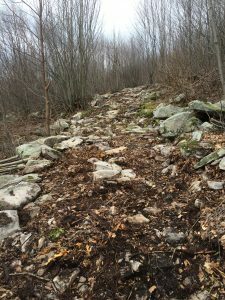 Keep in mind these are not the final trail. 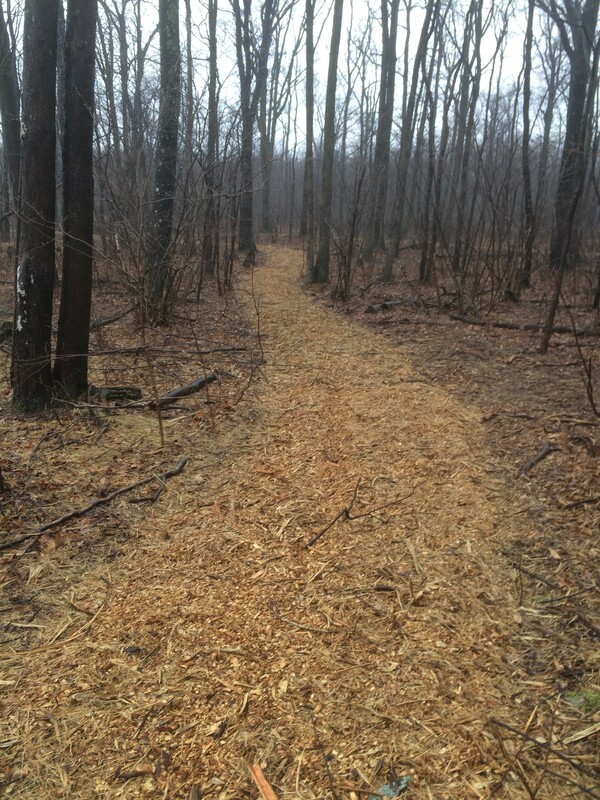 We hope to make a nice video for you to see when the trail is done. 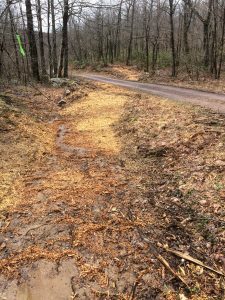 We have made many comments about why did DNR require mulch on an OHV trail? It makes no sense. That won’t last one weekend. We have expressed our concerns to DNR and doubt it will be replaced once the mulch is gone.